SOURCE: Dissected: How’re Ya Dying? 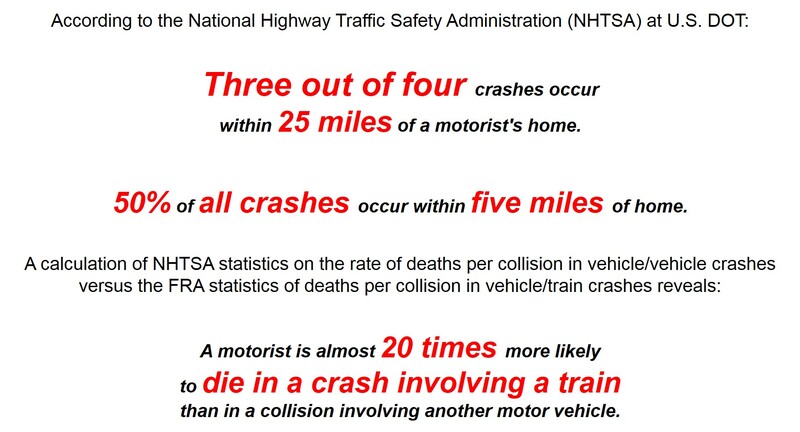 Charting transportation mayhem in its many gory varieties. 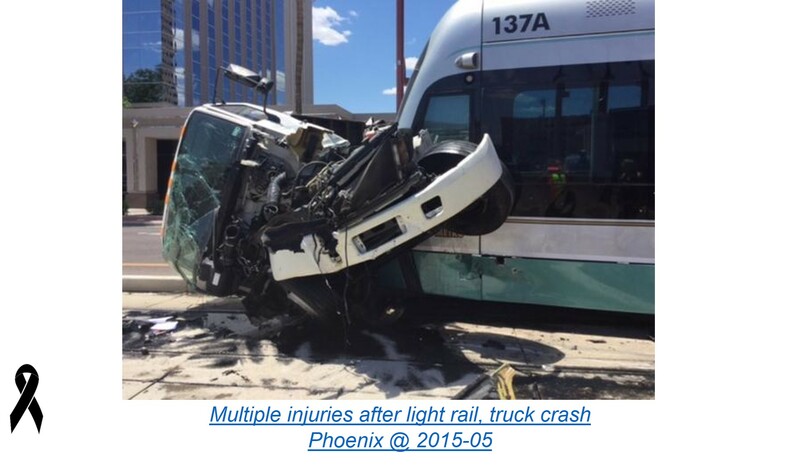 These Light RAIL Trains ride on steel wheels on steel rails. Even if the brakes are the best and can stop the wheel completely (without derailing), the physics of steel sliding on steel do not change the physics of a 100 ton train’s momentum. 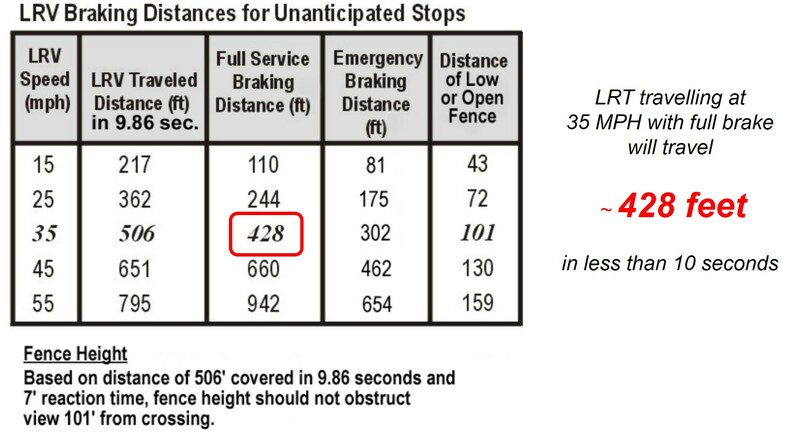 Light RAIL Trains travelling at 35 MPH with full brake will travel ~ 428 feet in less than 10 seconds.